Sold. 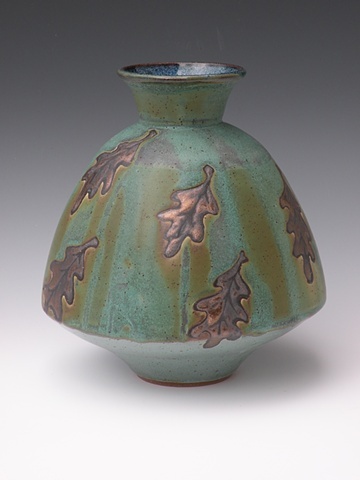 Urn shaped vase in bronze green, decorated with gold oak leaves. This is part of a series of new work created for the Kiln Club Annual Show at the Torpedo Factory, March 2011.